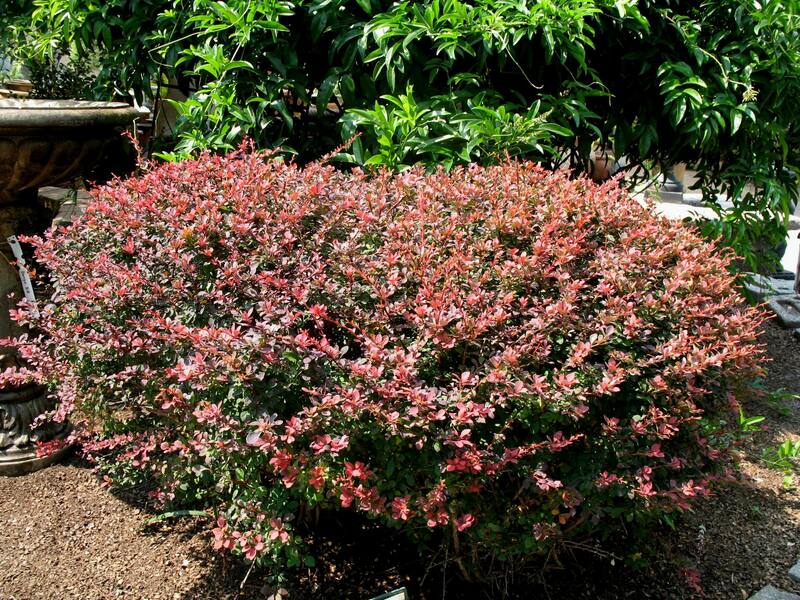 Comments: A shrub of intermediate size that retains its red color through the growing season. With selective pruning plant foliage will be compact. Barberries are best adapted for plantings in the Upper South. They are acceptable further south if plantings are in full sunlight and the soil is well drained, preferably in a raised bed. Barberry plants have thorns.